ooh! i like that! i think i'd want to try it on though. last year, i got one of the heathered herringbone Base Runner 1/2 Zip and the zippered area didn't lay right. I also bought it in the Surge color, which was fine. I ended up reselling the heathered one. i'd love this if it fit properly. I need this and the herringbone version! I wear my base runners from last year all.of.the.time! These are super sonic awesome for travel too. 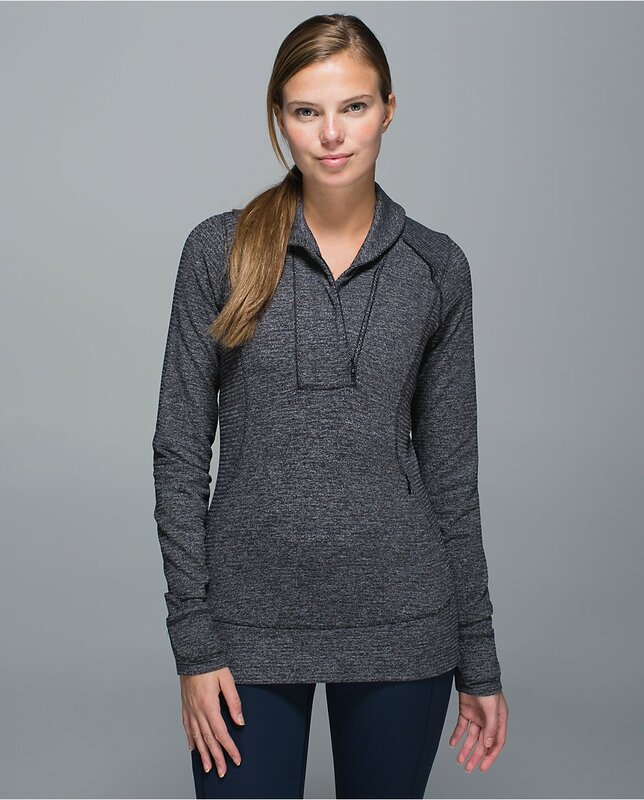 I don't run in the pullovers because it's too warm here but they are great for walking, watching my son's soccer games in the cooler months, to/from, and all around general layering use. I ordered it but haven't gotten it yet. I hope it is the mini check pique! I'm eager to find out what others report. on the boards people are saying they got the herringbone, not the mini check pique. @Sam - instead of 14 days you have until early January to return. I tried on the think fast pullover today and didn't like it. I felt like it would rub on thr left side where the pocket was. Of course I wear my pullovers to run and this would be a big concern. Especially for the price. 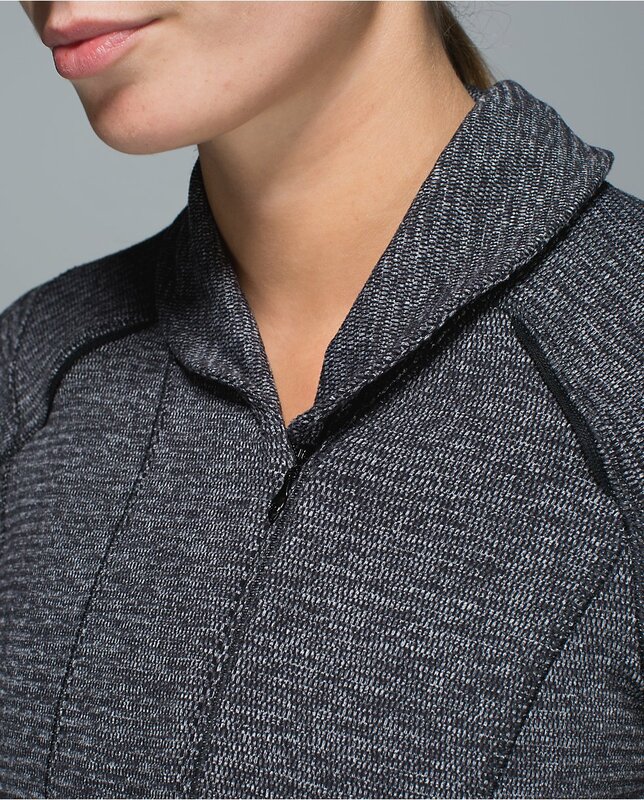 Ran in mine this morning TFP herringbone with a athleta tank underneath (their version of the swiftly) I didn't experience any issues with the seems because of that layer but I didn't really like having my phone in that pocket. It didn't bounce but It wasn't tight against my body either. Prefer it in the side pocket or spin belt. But I wanted to try out my light it up skirt so the pockets weren't accessible on my pants. Something was bugging me around my torso. I thought it may have been the double waistband of the skirt over the pants but I came to the conclusion that it was the athleta tank. It was soaked and the grips and ruching really bugged me. I will stick to my Crb's as a base layer. Does anyone layer a ls swiftly under their pullovers? if so, what kind of temps? I was in 28f and the TFP kept me warm except. Rulu = magic for warmth. 7:30 I use a long sleeved swiftly with the base runner over it and it's warm and not clammy. I will be trying the think fast this eve with my reflective skirt this evening. will layer with a swiftly.